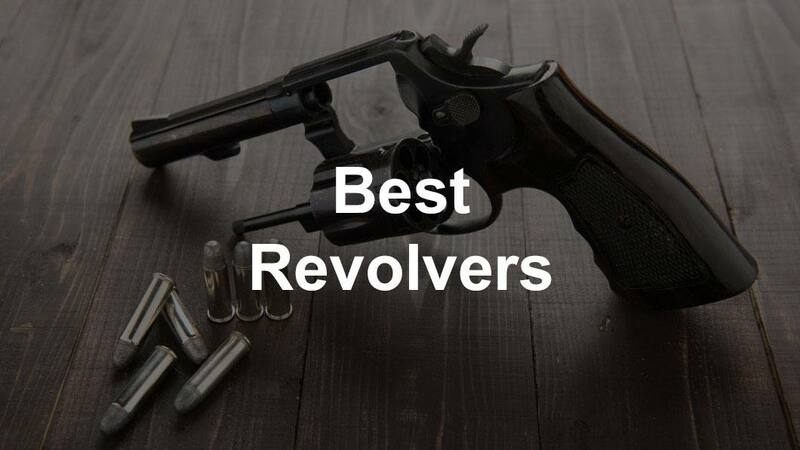 Looking for the best revolver? Despite their age, revolvers are an extremely popular weapon. Some people absolutely swear by revolvers and are opposed to standard semiautomatic pistols. While I am not quite that bad, I do really love revolvers. One of the primary reasons for their popularity is their reliability. To put it simply, revolvers do not jam. It is nearly impossible. For self-defense purposes, this is an extremely important feature. Another great self-defense feature is the fact that revolvers can shoot much larger projectiles than the standard semiautomatic pistol. When comparing smaller frame pistols and revolvers for concealed carry, the revolvers are able to shoot much deadlier projectiles. There are even revolvers available that are able to shoot shotgun shells. In this article, we are going to take a look at the best options available for different situations. As far as shooting revolvers, I think they are very fun to shoot. They are accurate and enjoyable. Do not get me wrong, I love my semiautomatic pistols, but revolvers are definitely a great option for you. A great example of a semi auto that is super popular is a 9mm pistol. For those who may not be familiar, revolvers have a cylinder that holds all of the cartridges in it. Each trigger pull rotates the cylinder, which allows the next round to be fired. As far as actually firing the weapon, revolvers have either an internal or an external hammer. Revolvers are very versatile weapons. Because they can fill so many different uses, we will break down these weapons into a couple different categories. These revolvers are essentially interchangeable as some of the best options, so keep that in mind! If you just want a revolver for shooting around, check out a .22LR revolver. Here are a couple of great options. Ruger’s semiautomatic pistols are not exactly loved, but their revolvers are extremely high quality. The Ruger LCR is a small revolver that is available with an internal hammer or an external hammer (LCRx). It is available in quite a few different chamberings, one of which is .22LR. The pros of the LCR are the smooth action, ergonomics, and sights. Firing this revolver is extremely smooth. The trigger pull easily matches it. Firing the weapon is made even easier because of the comfortable grip. We really like the ramp sights, but they are also replaceable if they are not your style. The cons of this revolver are that it is somewhat expensive, especially for a weapon that shoots .22LR. However, it is a very high-quality weapon that would be excellent for shooting around. This revolver is extremely simple and inexpensive. It is available with a few different barrel lengths, styles, and grips, but overall they are all very similar weapons. The pros of this weapon are the price and the classic styling. These weapons are all replicas of the old style “wild wild west” revolvers. Some people will enjoy this look. The Heritage Rough Rider gives you that feel at a very inexpensive cost. The cons are that it is not the highest quality weapon you have ever felt by any stretch of the imagination. However, if you are just looking for a neat little revolver for casual shooting, this one will work for you. However, keep your expectations tempered. A revolver for concealed carry generally has a small frame and an internal hammer, so there is nothing to get caught on clothing. What is the best concealed carry revolver? One of the best options is the Ruger LCR mentioned above. However, we would recommend carrying it in a larger caliber, such as .38 Special, .357 Magnum, or 9mm. J-Frame is not an exact model of weapon. It actually refers to a revolver style, which is represented by a few different models. These guns are perfect as the best revolver for concealed carry. The Model 642, Model 649, and Model 638 are revolvers with internal hammers. The Model 637, Model 437, and Model 60 all have external hammers. There are actually significantly more J-Frame revolvers than these, but these will give you a start point. All of them are excellent quality revolvers that would make great concealed carry weapons. 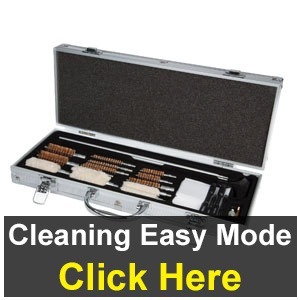 They are durable, reliable, and extremely easy to conceal. Most of them shoot .38 Special, but there are a few J-Frame revolvers that shoot .357 Magnum. Costs vary depending on the specific J-Frame, but we cannot say enough good things about these Smith & Wesson revolvers. Be sure to check them out to see the different options for best carry revolver. Most people would likely look for a larger caliber revolver for home defense since size is not an issue. Here are a few options. This may actually be my favorite weapon in the entire world. It is such a unique and versatile weapon. I really just cannot say enough good about it. The Governor from Smith & Wesson is a big bore revolver that can shoot .45ACP, .45 Long Colt, and .410 bore shotgun shells. It is not exactly a small or light weapon, but it is best revolver for home defense. It has a six round magazine capacity and uses an external hammer. The sights are excellent. In terms of performance, it does not really get much better than this weapon. As far as cons, it is a somewhat expensive weapon. However, for its serviceability as a home defense weapon, it is well worth the price. It is also backed by Smith & Wesson’s excellent customer service, so you have some peace of mind when you purchase. The Super Redhawk from Ruger is another much larger revolver. It is available with slightly different grips and different barrel lengths. It is available in .44 Magnum, .454 Casull, and .480 Ruger. All of these larger caliber rounds would be excellent for home defense purposes. Similar to the last Ruger revolver, this one is excellent quality. The action and trigger are smooth. It is extremely reliable. This would make an excellent hunting sidearm as well. As to be expected with a large bore revolver, this is an expensive weapon. If you are looking for a “wild wild west” revolver but were not crazy about the Heritage we mentioned before, this one is an absolute classic. The gun that won the West. This revolver has been around for well over a century. It is an excellent weapon. From its elegant, classical design to its smooth functioning, it is truly amazing. It is available in .357 Magnum and .45 Colt, and comes with three different barrel lengths. The biggest draw to this weapon is probably the classic styling. It is an extremely high-quality revolver overall, and is enjoyable to shoot. You feel like you are holding a piece of history… because, well, you are. It is an expensive piece of weaponry, but in our opinion, it is worth it. If you are looking for a showpiece or a unique revolver, you will not beat this one.